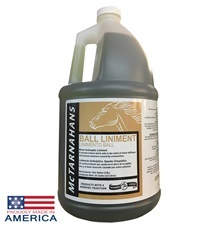 McTarnahans Absorbent Liniment Gallon - Jacks Inc.
Part of the McTarnahans® "Winners Circle" line of products, Absorbent Liniment is a maximum strength, top quality herbal formula liniment, brace and coolant. Provides an excellent cooling effect and temporary relief of pain, soreness and stiffness in muscles and superficial tissues due to overexertion or strenuous exercise. Ensures deep penetration and prompt relief. 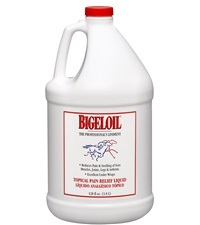 Can be used as an antiseptic for minor cuts, a refreshing antifungal body wash, or to help prevent hoof and sole infections. 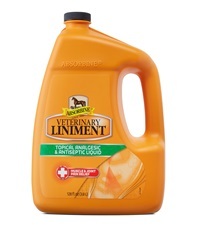 Veterinarian recommended and 100% satisfaction guaranteed. McTarnahans® Absorbent Liniment 16 oz. 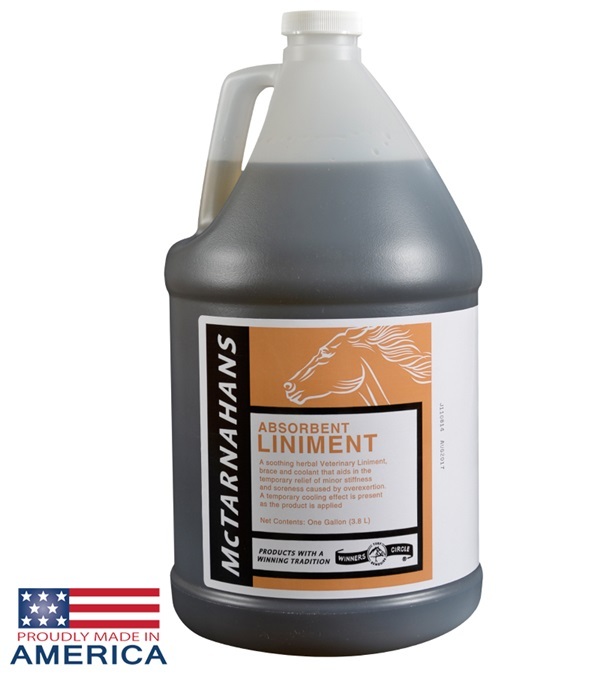 McTarnahans® Absorbent Liniment 32 oz. 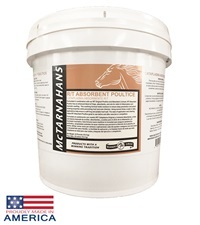 McTarnahans® R/T Absorbent Poultice 23 lbs.